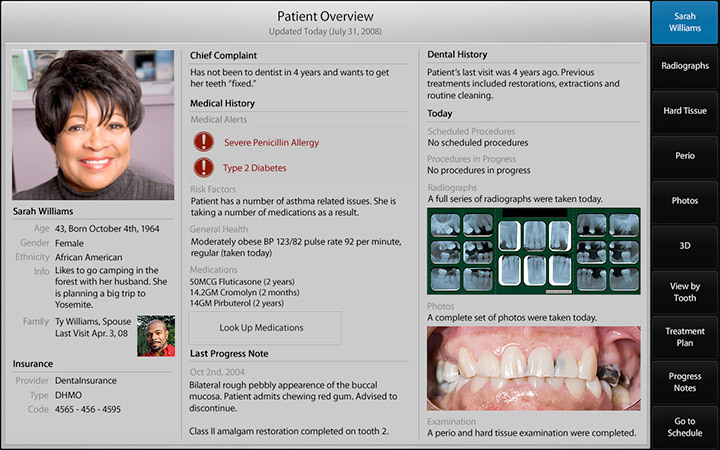 Built as part of the Master's in Human-Computer Interaction capstone project at Carnegie Mellon University, DMD is a touchscreen interface for use by dentists. 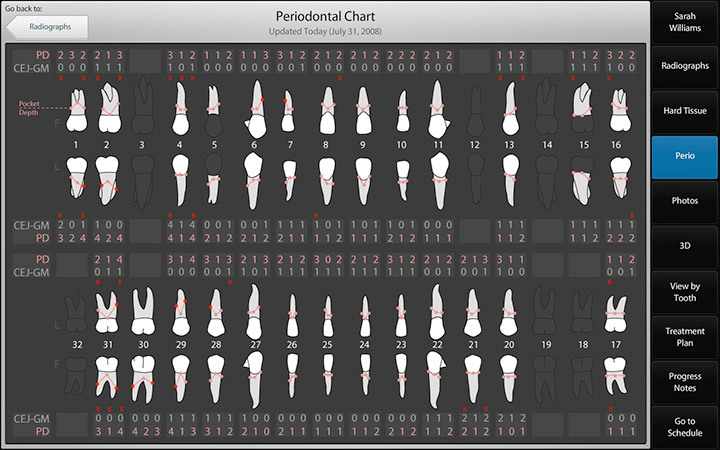 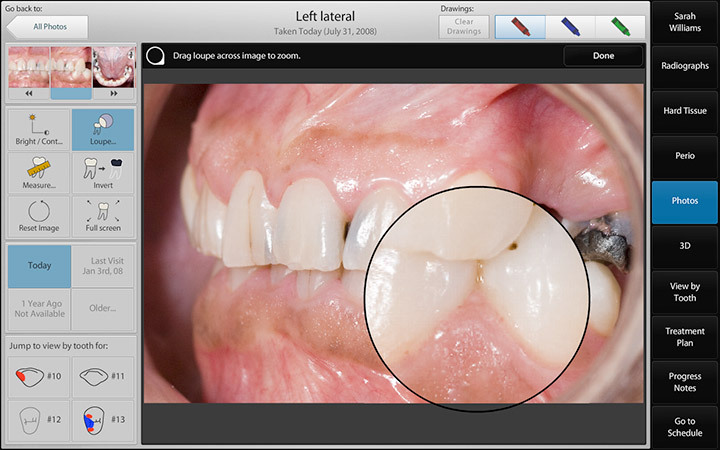 It was designed using a wide range of user-centered methods and has shown itself to be several steps above software in use by dentists today. 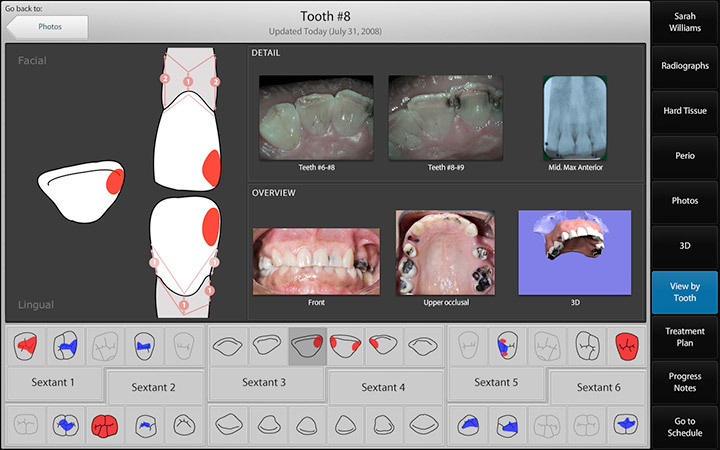 To get a brief overview of the system, read a little about our design goals and watch a quick video demo.